What home loan can we help you with today? We understand that buying your first home can seem confusing and complicated. Amanda, your Kiwi mortgage adviser can help you choose a first home loan that’s right for you, without all the running around. Get expert advice about what you can afford, juggling old and new homes, bridging loans and other options – with personal guidance at every step. Thinking about refinancing your home loan? Amanda can help. But first, she can help to work out whether refinancing is the smart move for you. Amanda can find you the loan and offer expert advice to help make your investment property a secure, long-term wealth generator. Thinking about buying a property? Ready to jump now? Contact Amanda for some expert help. There are hundreds of home loan interest rate options for first home loans, next home loans or refinancing. So how do you find one that fits your unique needs and goals? Save time, stress and confusion and have Amanda do all the work for you. In addition to protection against theft, you are covered against damage to or loss of property and possessions due to fires, Storms and several other causes. Purchasing a home is a big investment so make sure that you protect your asset right from the start. *Terms, conditions, limits and exclusions apply please refer to the Product Disclosure Statement(PDS). Review the Key Facts Sheets available for the Home Insurance buildings and/or contents covers. Review the Key Facts Sheets available for the Landlord Insurance buildings and/or contents covers. 1 Premiums payable to Allianz by instalments may be subject to minor adjustments (upwards or downwards) due to rounding and financial institution transaction fees may apply. is the insurer of the home and contents insurances and the landlord insurance. Allianz Australia Life Insurance Limited ABN 27 076 033 782 AFS Licence No 296559 (Allianz Life) is the insurer of the Lifecover Plus insurance. Your Smartline Adviser can refer you to Allianz or Allianz Life for insurance as agent of Allianz or Allianz Life, but cannot arrange insurance. If you purchase this insurance, Smartline will be paid referral remuneration. please consider the relevant Product Disclosure Statement available from Allianz or Allianz Life (www.allianz.com.au). Life insurance, or term insurance, may pay a lump sum when you die or become terminally ill^. We’d like to think our loved ones would be looked after if something happened to us. While many people have life insurance and TPD, as part of their superannuation policy, it may not be adequate. Allianz LifeCover Plus is straight-forward and affordable life insurance. Have peace of mind knowing that you could help protect your family financial future, by providing for them when you may no longer be able to. • Simple application process online or over the phone. ^ Subject to policy terms, conditions, limits and exclusions. *Cover amount is dependent on your age at the time of application. Allianz Australia Life Insurance Limited ABN 27 076 033 782 AFS Licence No. 296559 (Allianz Life), is the issuer of this life insurance. Allianz Australia Insurance Limited ABN 15 000 122 850 AFS Licence No. 234708 (Allianz) is the issuer of this home and contents insurance. 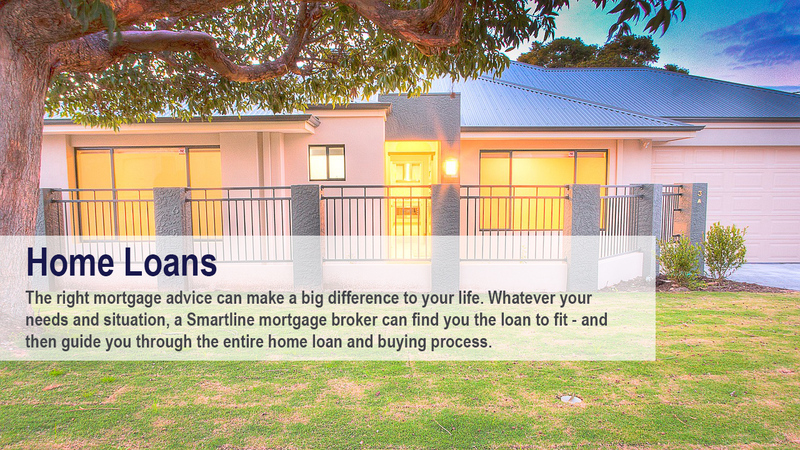 Smartline Home Loans Pty Ltd ABN 38 085 370 270, ACL Licence No. 385325 acts under a referral basis as an agent for Allianz and Allianz Life, not as your agent. Smartline can provide written advice on life insurance, but no advice on general insurance and cannot arrange insurance. It receives commission on these insurance products as a percentage of the premium paid for each policy ranging from 10% to 20%. The relevant Product Disclosure Statement (PDS) for insurance products can be requested from our website at www.smartline.com.au. Any advice here does not take into consideration your objectives, financial situation or needs, which you should consider before acting on the recommendations above. You should read and consider the PDS before deciding whether to acquire any product mentioned. After a smart lease or loan for your new car? 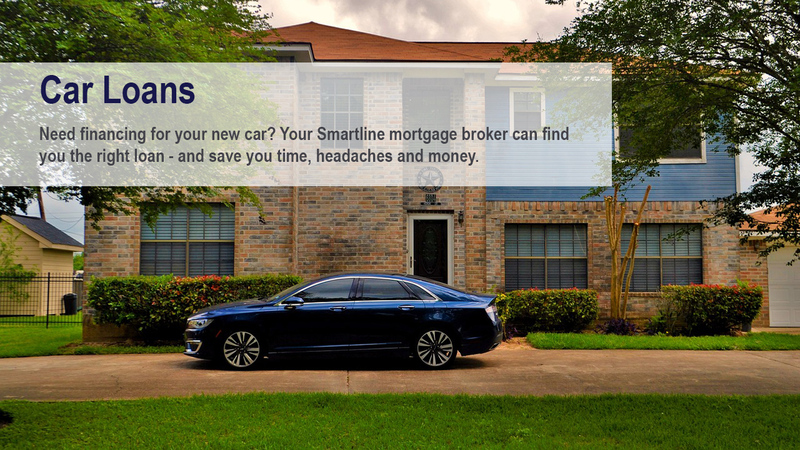 Unlike banks and car yards, Smartline finance advisers are in your corner. They’ll look at a wide range of options and lenders to secure you a great deal. find you the right loan at a great rate (usually less than the car yard). And if you haven’t found the perfect vehicle yet? They can arrange loan pre-approval, so you can hit the car yards with a firm figure in mind. Looking to buy a car? Let our Car Finance Calculator help you work out your budget. Simply enter the details and the Smartline Car Finance Calculator will estimate your car loan repayments. Our Borrowing Power Calculator will also help you work out how much you can borrow.